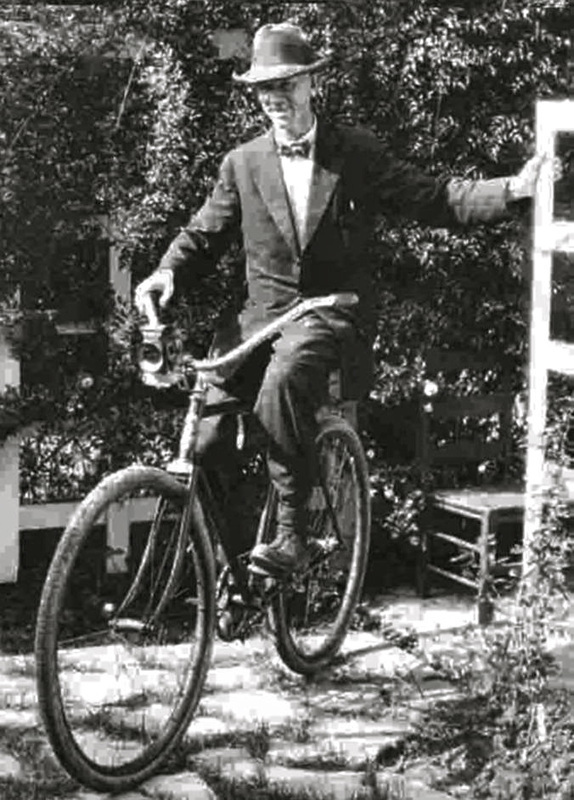 Philander Barclay, Oak Park’s self-styled village historian, was born in Anna, Illinois, on September 16, 1878 to James S. and Mary Taylor Barclay. The family moved to Oak Park in the early 1890s. Philander’s father ran a drugstore at 103 Marion St. until 1902. Barclay was a bicycle repairman by trade, but a photographer and historian by inclination. He collected photos of Oak Park and River Forest dating from the 1880s, and in 1902 he began his own photo chronicle of buildings, railroads, and, sometimes, people. Barclay was the quintessential observer, not a “joiner.” But he did help organize old-timers who informally were sharing tales at the local harness shop. The club was called the Borrowed Time Club and originally restricted membership to men over 70. The club still exists today. At Barclay’s death on July 7, 1940, his photo collection numbered about 1,000. Today, much of it resides in the photo collection of The Historical Society.